We've made some technical adjustments to get make reports load up a whole lot faster for you, especially if you're a heavy user with lots of data. Thanks for your feedback and your patience! Wahoo! You can now use your Android device to triage and reply to messages on-the-go with our brand new Android app! 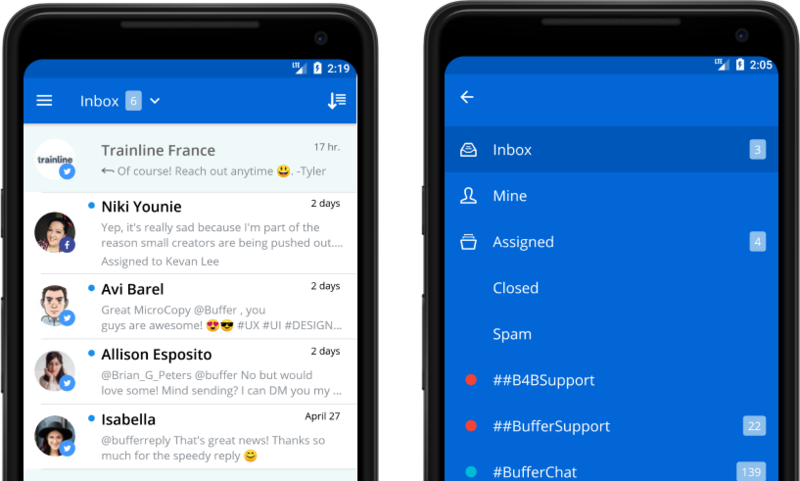 Download Buffer Reply from the Google Play store. For our iOS friends: We have an app for you too! Grab it from the iOS App store here. Reply for iOS is available to download from the App Store. We're thrilled to offer a companion to our web app that allows you to triage and reply to conversations wherever you are. For our Android users: 👋 We'll be releasing an app for you very soon. In the meantime, if you're interested in early access and sharing feedback, feel free to sign up here. Ever get that sinking feeling after hitting send on a reply? You can now undo a reply immediately after sending it, in case it was a mistake or you want to rethink it! If you hit Undo in the green confirmation popup, we'll take you back to your reply so that you can make any edits. No sweat! Yay! 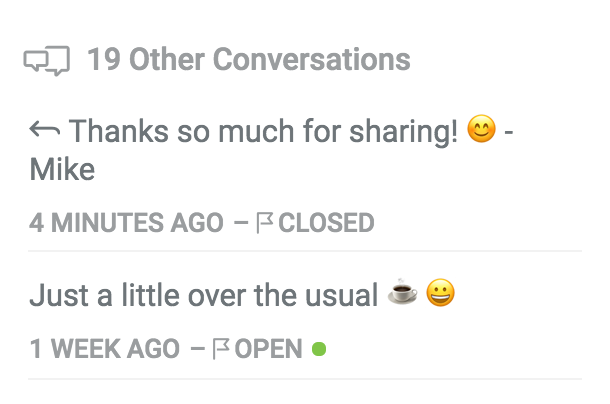 You can now save replies to common questions and conversations, so you don’t have to search around for snippets or type up the same message, again and again. To create your first saved reply, go to Settings, then Saved Replies. Or feel free to check out this short guide in our knowledge base. Exciting news! You can now connect an Instagram account with just a couple of clicks. To connect an account, go to Settings, then Social Accounts. A timestamp now shows when other conversations were last updated. At a glance, you can see if their last contact was this week or 6 months ago. You can now see the status (open, pending or closed) of other conversations. This makes it easy to see if another thread or conversation is currently open with a contact. We show a little reply icon to indicate if you've sent the last reply in a conversation. You can now route, assign or tag conversations that are in Czech. Skvělý! You can even set reply-all as your default. 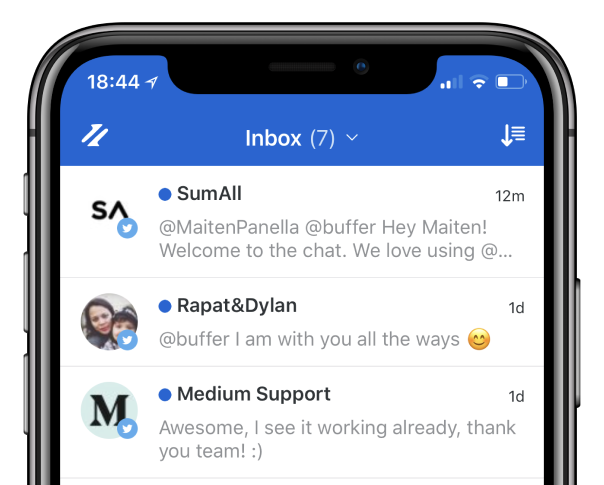 Surely buffer-reply will start publishing changelogs very soon.